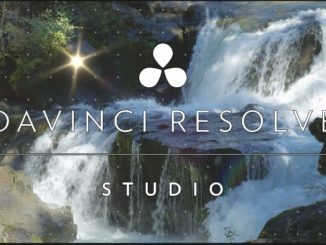 In our last lesson, in our look at learning DaVinci Resolve, we talked about Compound Clips, and how to work with them in your timeline. In this lesson, we’re going to take that concept a little further, and talk about VFX Connect Clips, and how you can work with them in the full version of Fusion. Now, the first, and most logical question you might be thinking is “Why would I want to use the full version of Fusion, when I have Fusion right here inside of Resolve?” Well, the simple answer is that there are many more tools inside of the full version of Fusion…..oh yeah….and it’s also free to use! 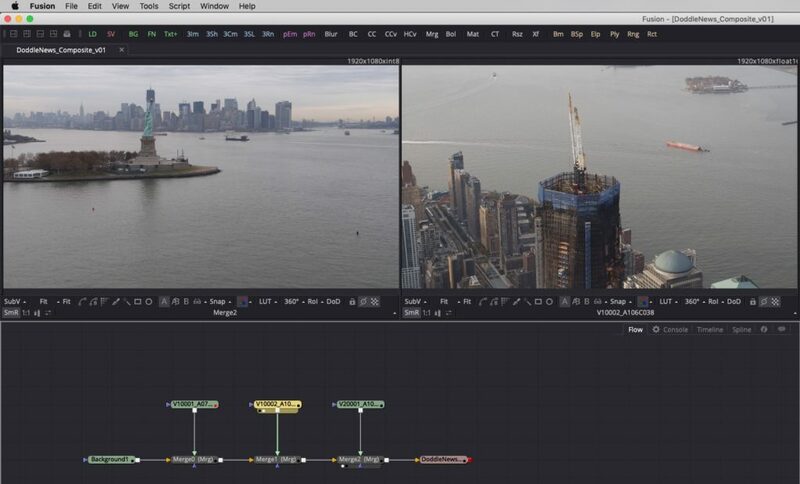 The easiest way to think of this workflow is that it’s very similar to the way Premiere and AE work together to get your Resolve timeline over to Fusion. Here’s how it works. 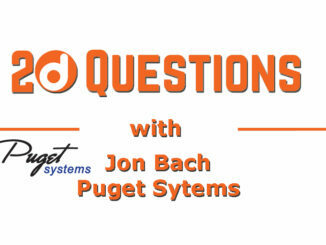 First, you’re going to need to select a group of clips that you’d like to send over to Fusion. 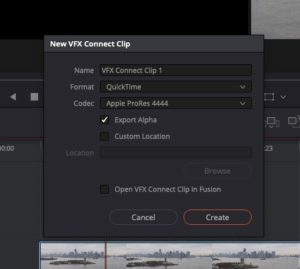 Once you’ve selected them, right click on them and select “New VFX Connect Clip”. You’ll now be presented with this window. 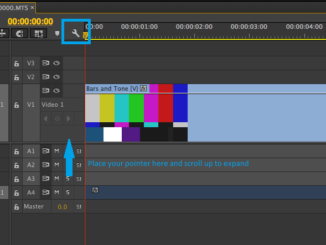 What Resolve is basically asking you is “You’re going to be exporting the clips in your timeline you want to send to Fusion, so choose the codec you want to have the footage exported as.” In our case, we’re simply going to export to the Desktop in a ProRes 4444 Codec, so the export window will look a little like the below. 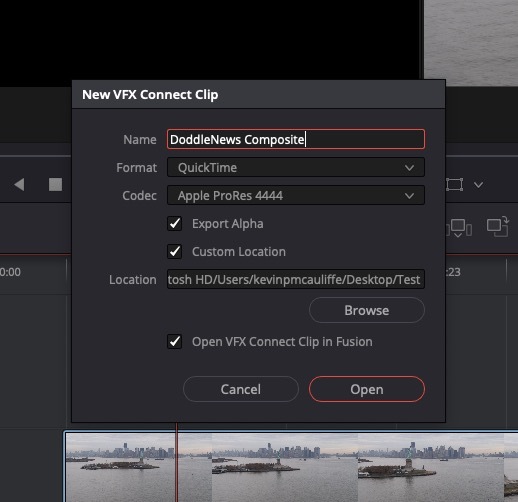 What makes this process really cool is that once you’ve made all your changes and saved your Fusion project, in Resolve, you can simply right click on your VFX Connect clip and select VFX Connect>Refresh to update your Resolve timeline, and get all the compositing you created in Fusion, inside of your Resolve timeline.